Frosty weather gets outclassed with wonderful comfort in the SKECHERS Keepsakes - Freezing Point boot. 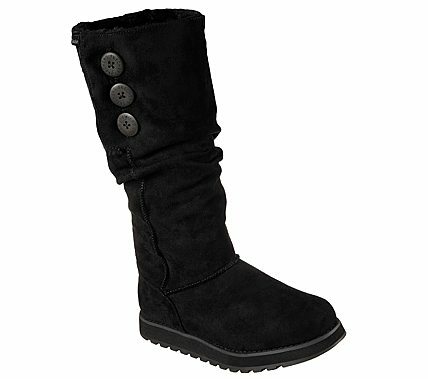 Soft suede-textured microfiber fabric upper in a slip on tall mid calf casual cool weather slouch boot with stitching and button detail. Memory Foam insole.